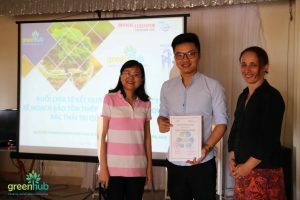 Composting Organic Waste - An useful solution to Reduce and Recycle waste for households in Ha Long City. The ongoing economic development is strongly correlated with the growing problem of waste. Plastic waste is also a contributing factor to the recent increase in solid waste. This poses major challenges for the policymakers in Vietnamese cities. Another approach to the alternative waste problem is “Zero waste initiative, consisting of 5 actions / 5R: Refuse, Reduce, Reuse, Recycle, Rot (organic compost). The first step towards “zero waste” is to research the waste situation by conducting a trash audit. 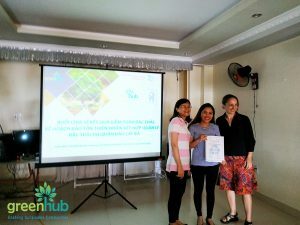 From the 13th – 18th September 2018, GreenHub’s team of surveyors and experts from Pacific Environment conducted a waste audit of 7 restaurants and hotels in Cat Ba island. 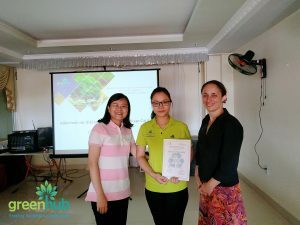 Based on the survey and the understanding of current activities, the researchers picked 7 restaurants and hotels which had met the requirements to be given the biosphere label by the Cat Ba Biosphere Reserve. After 7 days of work, 600 audited meals and 33 audited rooms in various restaurants and hotels, we have collected quite astonishing data. – In terms of amount, about 90% of the garbage in restaurants is biodegradable or recyclable. – In terms of volume, it turned out that 27% of the garbage was unprocessed plastics. Non-recyclable plastic accounts for the bulk of waste (87% of the non-recyclable plastics was glossy plastic bags and plastic covers). 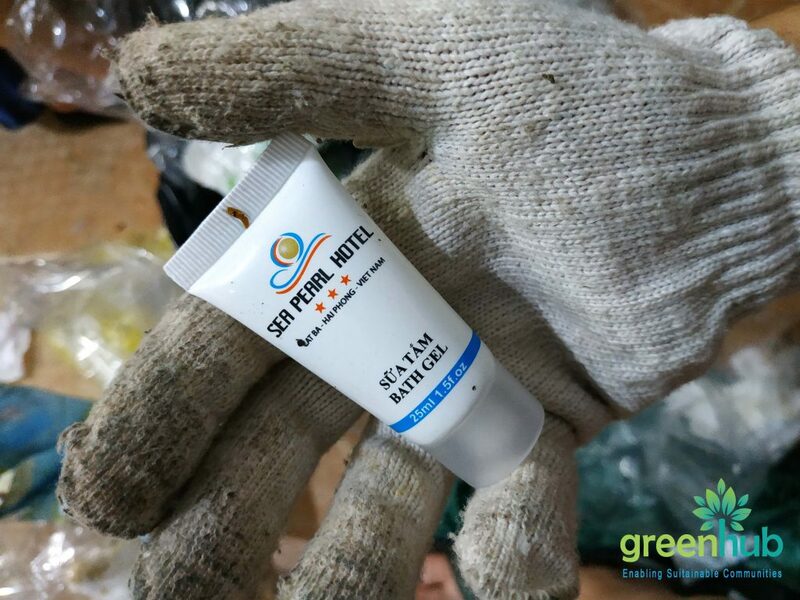 Regarding the results of the waste audit conducted at the hotels, the experts have calculated that each day, each room at the hotel threw away 0.32 kg of waste and 6.7 liters of garbage. 3) Shampoo and shower gel packets for one-time use, which people carry with them for traveling or they can be also provided at the hotel. Companies are responsible for the products they produce, during their whole lifespan. It is an ongoing process, which does not finish when the products have been delivered to the consumer. We hope to be able to engage these companies to contribute to “Zero Waste Solutions” in the local community. 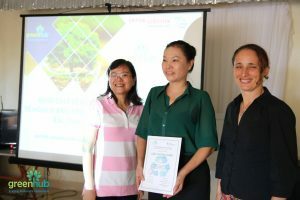 – To clearly communicate and to conduct training for all staff members at the restaurants about environmental issues, garbage and to inform them about the commitment to “Towards an Un-Disposal of Space” at the Restaurant. 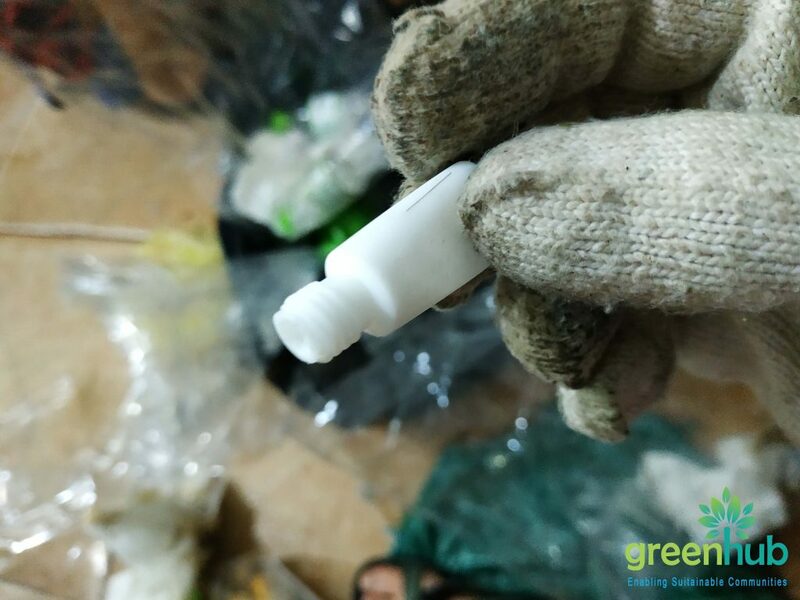 – Plan more detailed activities, conduct the waste audit for the time period of 7 days and work with Greenhub to develop a plan for “Zero Waste”.